Launch an elevated Windows command prompt. 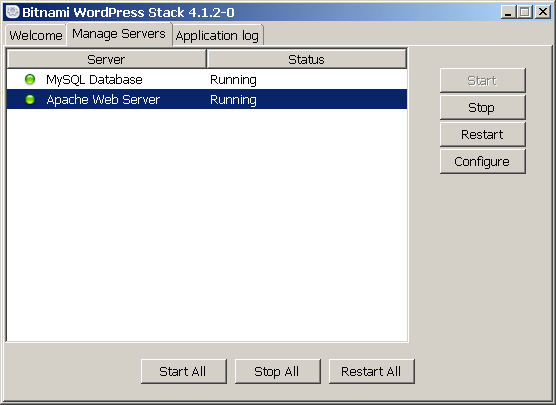 Restart the Apache server using the graphical manager tool. NOTE: If your application uses .htaccess files, you should move the configuration in the .htaccess files to the main application configuration files and set the AllowOverride option to None. Find out how to move the .htaccess file content to the main server configuration file and refer to this Apache note for more information.